VANCOUVER - Second-hand testimony that suggest the uncle of a so-called honour killing victim from B.C., was the all-powerful decision maker in the family should be admitted in court, a lawyer argued Wednesday. 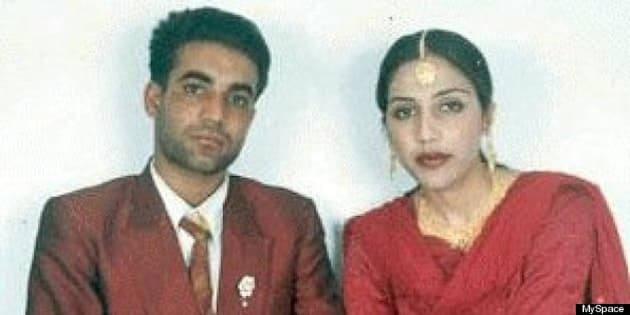 Prior to her murder in India in 2000, 25-year-old Jaswinder "Jassi" Sidhu told her friends she feared for her life because her family disapproved of her secret marriage to a rickshaw driver in India. Sidhu's mother, Malkit Kaur Sidhu, and uncle, Surjit Singh Badesha, are facing extradition to India, where they have been charged with conspiracy to murder. Even though hearsay evidence is not typically admissible in court, lawyer David Crossin, who represents Sidhu's mother, said testimony that indicates Badesha was the patriarch who controlled the family should be considered assertions of fact. Crossin also said testimony that points to the relationships between Sidhu, her mother, and her uncle can shed light on whether there was a motive to kill. Several of Sidhu's coworkers and friends have testified in the extradition hearing, saying Sidhu had confided in them about having fallen in love in India, and having secretly married a man there named Mithu Sidhu. The co-workers, with whom Sidhu worked at a beauty salon in Coquitlam, B.C., said that Sidhu told them she was threatened and beaten by her family once they found out about her union. They also said Sidhu was forced by her uncle to sign a legal document, saying Mithu had coerced her to marry him. The co-workers testified that they then helped Sidhu with the writing of a letter to say she married on her own free will. On Wednesday, Crossin pointed to testimonies by co-workers who said Badesha seemed to control Sidhu's family. Jody Wright told the court that, "He was the stern one. He was the one who made all the decisions for the whole family." Crossin recalled. Another co-worker, Belinda Lucas, said Badesha was very influential in the family, and had told Sidhu's mother to freeze her daughter's bank account after she fled the family home, Crossin told the judge. A tenant who lived in Sidhu's basement suite also testified earlier that she often heard fighting upstairs, and called the police twice because she was concerned. Sidhu's beauty school teacher, Deborah Devos, also told the court in May that Badesha on two occasions interrupted a class and grabbed Sidhu to take her away. "First hand observation of Scott (Sidhu's tenant) and Devos are independent evidence that corroborate Jassi's hearsay statements about her family's dynamic, specifically the control exercised by Mr. Badesha," Crossin said. Federal government lawyers argued earlier this week that evidence given by Sidhu's friends should be admitted in court, saying the young woman had no reason to lie about her fears to people she trusted. "In this particular setting...there were a group of young women working who had become friends, so the assertion that Jassi was somehow indiscriminate or telling everyone is, in fact, not the case," said Deborah Strachan, the lawyer for the federal Attorney General. But Crossin disagreed with the Crown's application for the admissibility of one of Lucas's statement regarding a conversation she had with Sidhu about her relationship with her mother. Lucas testified that she knew "it was very difficult for (Jassi's) mom to take sides," and that Jassi's mother loved her a lot. However, her mother had said to Sidhu on one occasion that she wished she had aborted her, Lucas told the court earlier. Crossin argued since it is unclear whether the abortion comment was made within the context of Sidhu's forbidden marriage, it should not be admissible as evidence. Sidhu was found dead in a village in Punjab in June 2000 after being kidnapped and murdered. Her husband was also severely beaten, but survived. Her family has denied involvement in the murder.